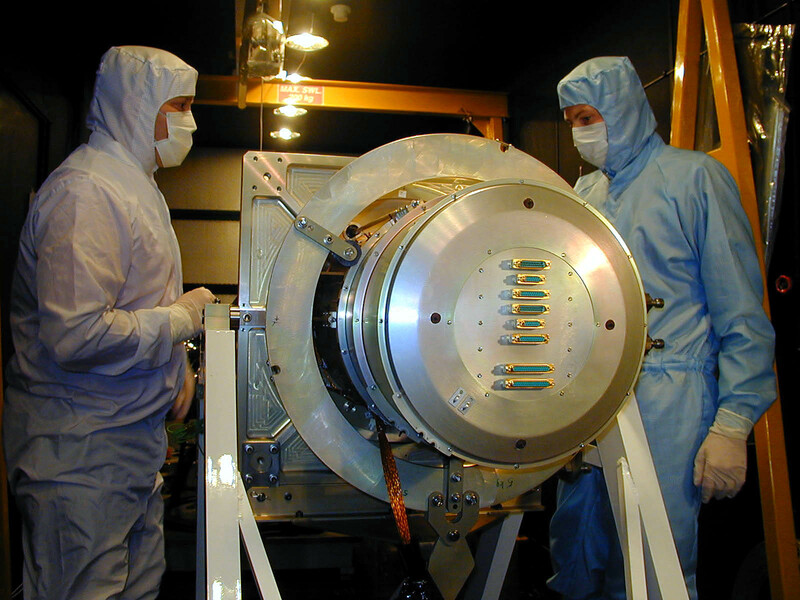 MSSL scientists preparing the UVOT for shipment to Goddard Space Flight Center. Please see the UVOT Instrument pages for more technical detail of the spacecraft and instrument. In addition, the calibration and catalogue pages provide information about ongoing pre- and post-launch Swift team activities, while the observing and links pages offer tools, guidelines and external web sites that further describe Swift, UVOT, and GRB science. The grism pages provide details on the grism spectral calibration, as well as grism UVOTPY Python software with embedded calibration files.